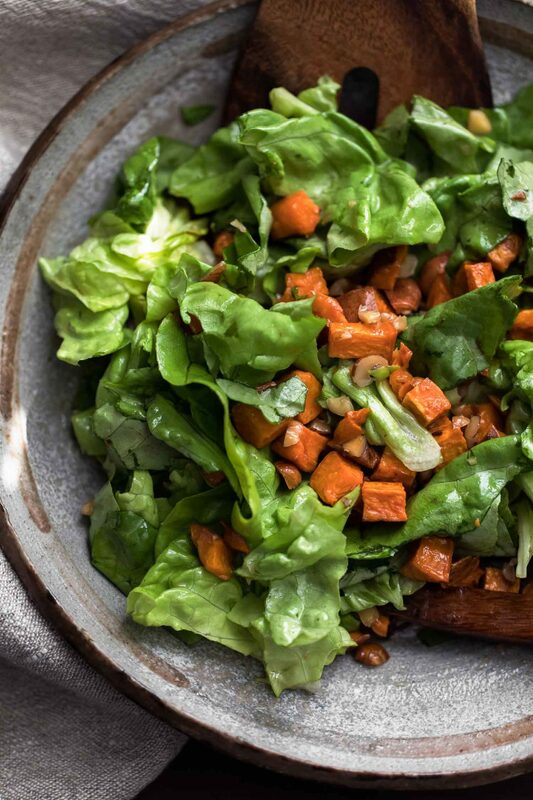 Sweet Potato Salad with Butter-Hazelnut Dressing | Naturally. It’s rare that I get stuck on one salad- I like to mix things up every time. However, this salad is different. I’ve been making this butter-hazelnut dressing for a few weeks now. 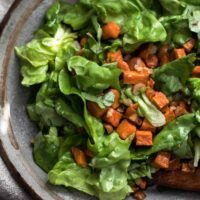 I could honestly do without the sweet potatoes- just a bit of butter lettuce and this dressing (but the sweet potatoes do add a nice color and a bit more nutrition). This salad dressing was a happy accident. I’d run out of olive oil, had been working with hazelnuts, and was leaving in 10 minutes to take lunch over to a friend’s house. Needless to say, I ran out with this dressing and couldn’t have been happier with the outcome. An easy salad with a delicious dressing made from toasting hazelnuts in butter and adding lemon juice and maple syrup. Preheat oven to 425˚F. 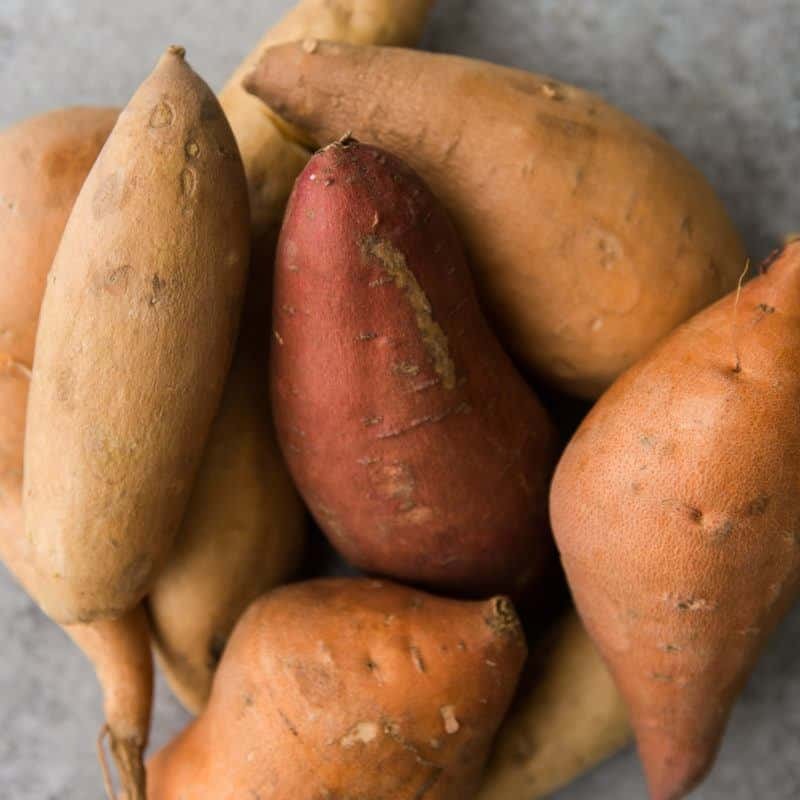 Cut the sweet potato into ½” cubes and place on a sheet tray along with the olive oil, minced garlic, and a pinch of salt. Toss to combine then place in the oven and roasted for 30 to 40 minutes. The sweet potatoes should be tender and browning. Let cool before adding to the salad. While the sweet potatoes are roasting, melt the butter in a small pan. Add the crushed hazelnuts and cook for 2 or so minutes, until the hazelnuts are toasted and fragrant. Remove the pan from the heat and add in the lemon juice, maple syrup, and salt. Swirl to combine and let cool slightly. 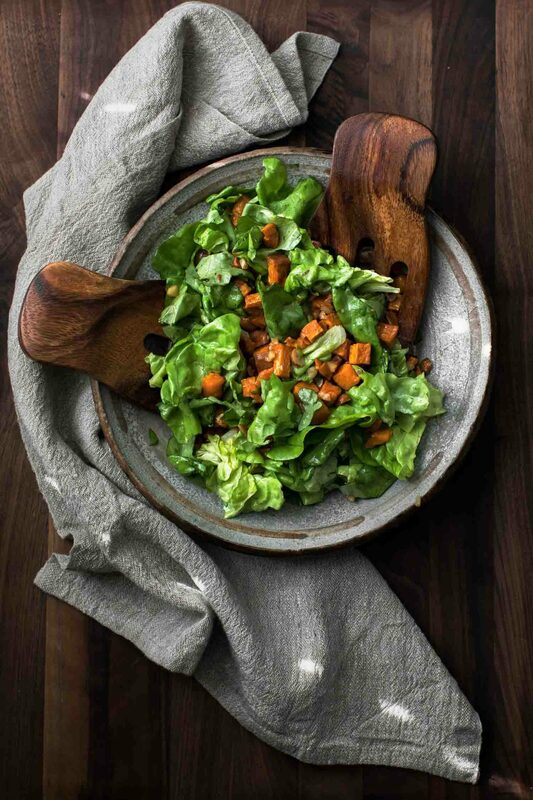 Combine the cooled sweet potatoes with the lettuce and dressing. Toss to combine and serve. Tips + Tricks: Butter lettuce is my favorite. The texture is soft and the lettuce has flavor. However, if you can’t find butter lettuce, look for another head of lettuce in the store. Vegan: Swap the butter for a nut oil, like walnut or hazelnut oil. These oils aren’t meant for high heat, so I recommend toasting the nuts in a dry skillet and adding the oil to the pan after removing from heat-just to warm the flavors together slightly. Nuts/Seeds: Swap the hazelnuts for pecans or pistachios. 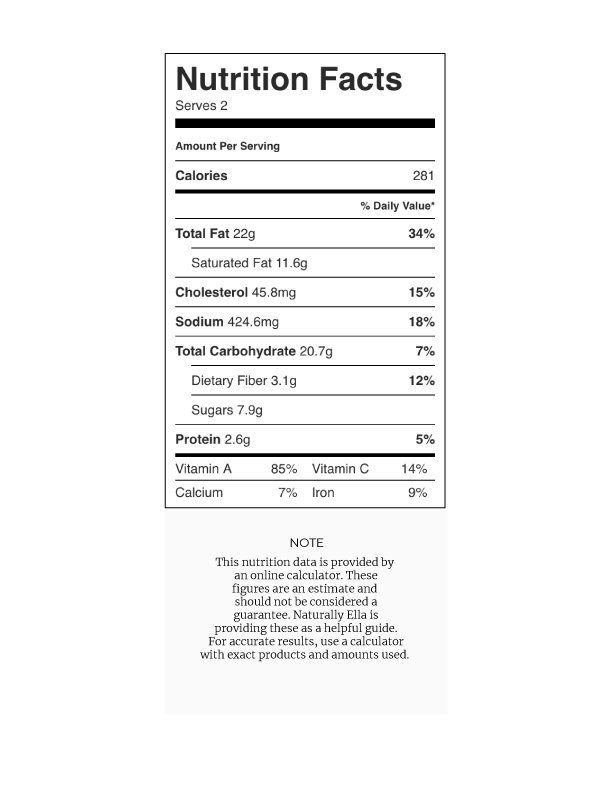 Or if you’re wanting to go nut free, sunflower seeds work well. Vegetables: This salad is beautiful throughout the seasons. In spring, use spinach and/or asparagus. For summer, sweet corn or roasted tomatoes, and for fall- winter squash. This salad was AMAZING!!! My whole family loved it, especially myself. Wow.